Cass MSc Management students have visited Milan for their annual seminar. The trip included a visit to The Creative Academy, the Richemont Group's international postgraduate design school specialising in jewellery, watchmaking and accessories. The Richemont Group includes many of the most prestigious names in luxury such as: Cartier, Montblanc and Chloé. 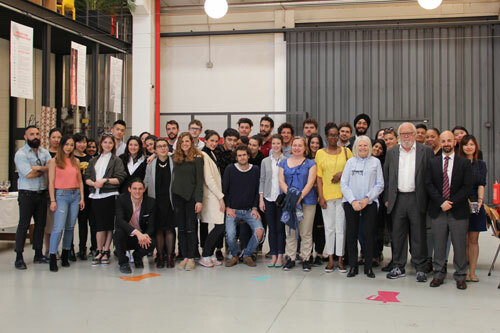 The 17 students had a chance to network with staff and students and attend a lecture delivered by Alberto Cavalli, Director of the Cologni Foundation for the Métiers d'Art, non-profit organisation that aims are to accomplish a new renaissance of the trade. Students also visited local museums including the Kartell Museum – producers of objects of plastic design, La Triennale di Milano and the Campari Gallery museum of Campari brand. Msc Management students also have opportunities to choose from the portfolio of international electives including: Global Real Estate Markets in Dubai; Project Finance & Infrastructure Investment – in Madrid; The Monetary Policy in Singapore; Procurement in Mannheim and Start-ups in Argentina.